The Vidalia Onion story takes root in Toombs County, Georgia over 60 years ago, when a farmer by the name of Mose Coleman discovered in late spring of 1931 that the onions he had planted were not hot, as expected. They were sweet! It was a struggle to sell the onions at first, but Coleman persevered, and managed to sell them for $3.50 per 50-pound bag, which in those days was a big price. Other farmers, who through the Depression years hadn’t been able to get a fair price for their produce, thought Coleman had found a gold mine! They began to follow suit, and soon after, their farms were also producing the sweet, mild onion.In the 1940s, the State of Georgia built a Farmers’ Market in Vidalia, and because the small town was at the juncture of some of South Georgia’s most widely traveled highways, the market had a thriving tourist business. Word began to spread about “those Vidalia onions.” Consumers, then, gave the onions their famous name. Reorders were made, and ” Vidalia Onions” began appearing on the shelves of Piggly Wiggly and A&P grocery stores. Through the 1950s and 60s, production grew at a slow but steady pace, reaching some 600 total acres by the mid 1970s. At this point, a push was made for Vidalia Onions to be distributed throughout the nation, and several promotional efforts were begun. 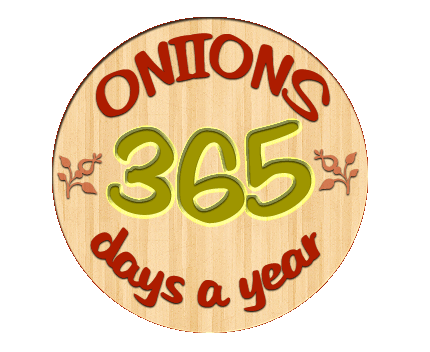 Onion festivals became an annual event in both Vidalia and nearby Glennville, Georgia, and production grew tenfold over the next decade. 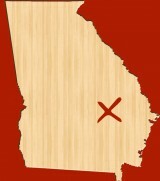 In 1986, Georgia’s state legislature passed legislation giving the Vidalia Onion legal status and defining the 20-county production area. The Vidalia Onion was named Georgia’s Official State Vegetable by the state legislature in 1990. 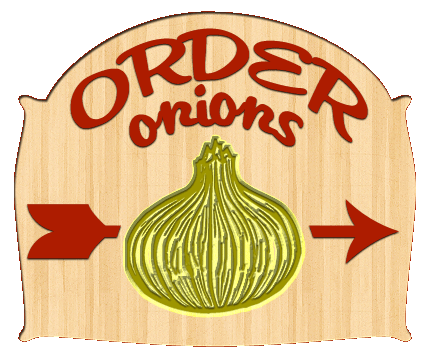 In 1989, Vidalia Onion producers united to establish Federal Marketing Order No. 955 for the crop. This USDA program established the Vidalia Onion Committee and extended the definition of a Vidalia Onion to the Federal level. The Marketing Order provided a vehicle for producers to jointly fund research and promotional programs. Beginning in 1990, technology borrowed from the apple industry was adapted to begin the Controlled Atmosphere (CA) storage of Vidalia Onions. 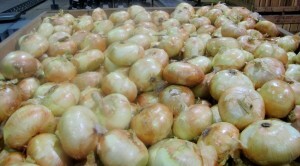 Now, some 70 million pounds of Vidalia Onions can be put into CA storage for up to 7 months, thus extending the marketing of Vidalias through the Fall and into the holiday season.